All Wikieup homes currently listed for sale in Wikieup as of 04/25/2019 are shown below. You can change the search criteria at any time by pressing the 'Change Search' button below. If you have any questions or you would like more information about any Wikieup homes for sale or other Wikieup real estate, please contact us and one of our knowledgeable Wikieup REALTORS® would be pleased to assist you. 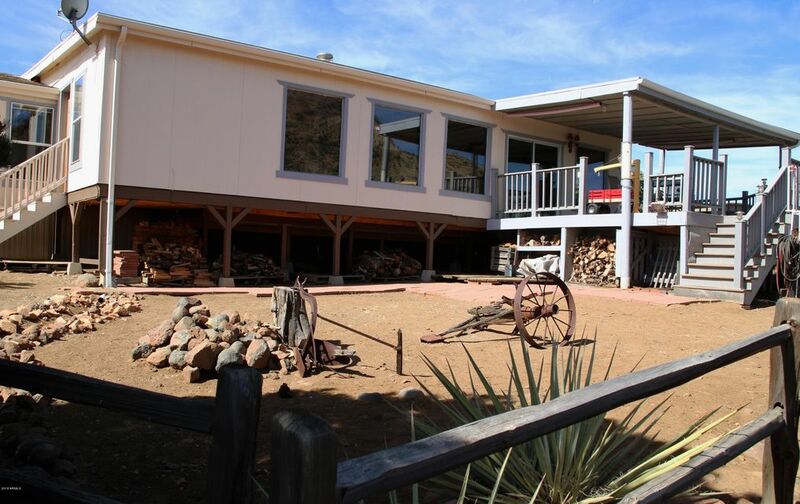 "623 Acres of High Desert beauty with two homes on it, 3 private wells and many other small buildings. Second home is new and never lived in. Price has been raised due to Pending repairs. Great Horse Property! There is a perfect area for a horse barn just to the West of the House. Plenty of water! Out the back deck are gorgeous views of canyons and mountains. This one is a must see to understand. If you're not afraid of the back dirt roads of Northern Arizona and want to come home to a real home "
"Rare and Unique Opportunity to own 1 full square mile of Arizona. 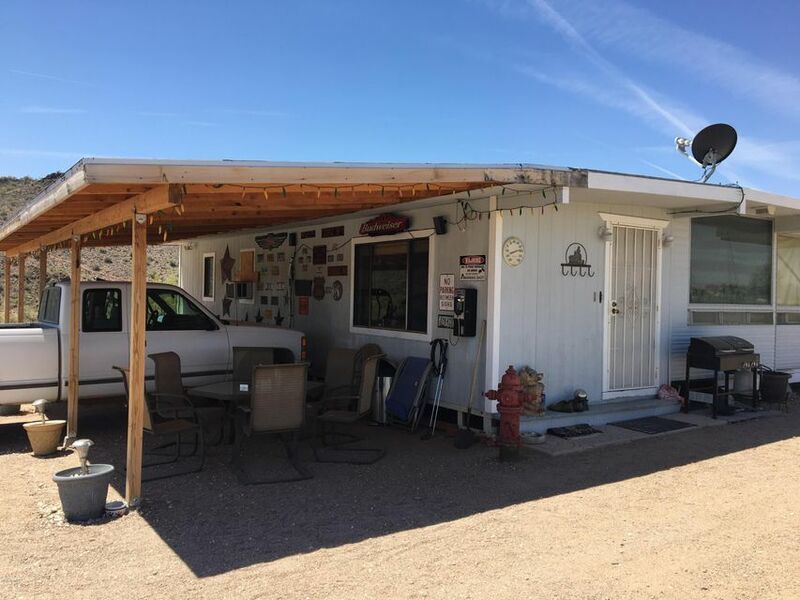 The property features a existing mobile home that has stunning views Burro Canyon and the Big Sandy River. The property features 2 bedrooms and 2 bath rooms, sheds and a 3 sided pole barn. Property is on the grid with electric, has a well and septic. Home is Sold AS-IS. Property features over 10 miles of riding trails and beautiful sunsets. Must see to appreciate. Call Listing Office to Schedule a Private Showing." "Rural Luxury! 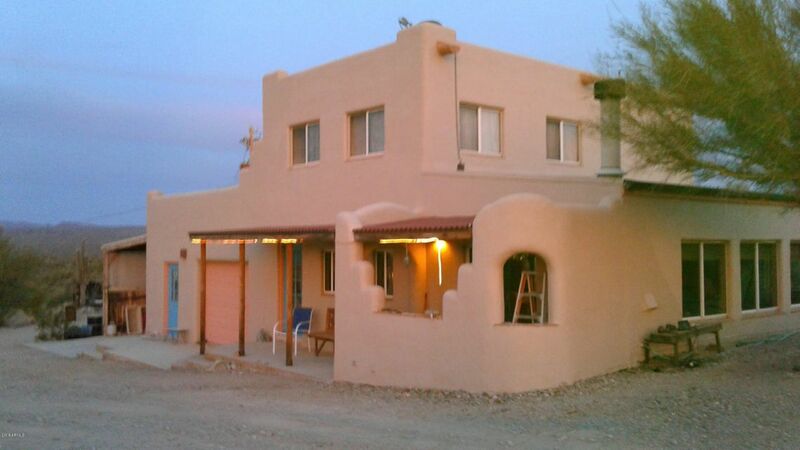 That is what you will find here in a beautiful Santa Fe built, constructed out of Rastra which provides for a near perfect energy efficient home. Similar to Arc bloc or Eblock, the stacked foam Rastra forms are a vehicle to pour concrete into for a superior structural home, finished on the outside with stucco and the inside with an Italian swirl drywall finish this home is a one of a kind in this rural setting! The main ceiling beams in the kitchen and master bedroom, are Douglas F"